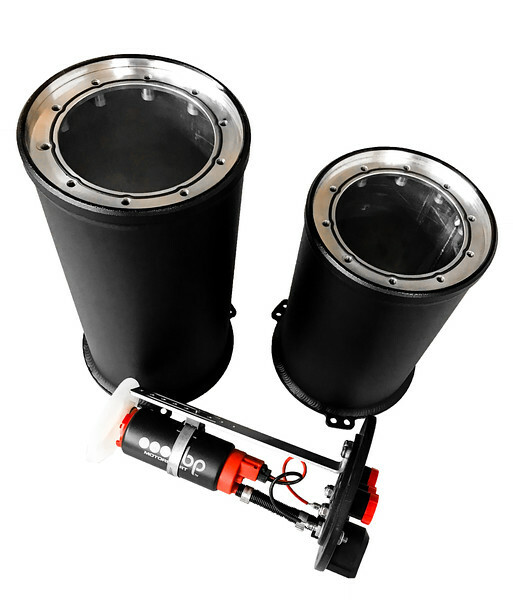 obp designed, developed and manufactured their new Motorsport Anti Fuel Surge Tank Systems with ProFlow Fuel Delivery Technology. These systems are designed to prevent fuel starvation in fuel injected vehicles with limited or insufficient tank baffling, when used in Motorsports demanding environments. The ProFlow Fuel Delivery systems are particularly suitable for vehicles competing in Drifting, Track / Circuit Racing, Autograss, Off Road, Hill Climb, Dakar Desert Racing, Rally X or Rally. The obp FST System maintains up to 2.6 Litres to operate its own internal fuel pump(s) that supply high fuel flow rates, while only needing low fuel pressure from the main tank pump. This tank is manufactured out of Aircraft Grade Aluminium engineered to be lightweight compact and suitable with the use of Ethanol, Diesel and Petrol. 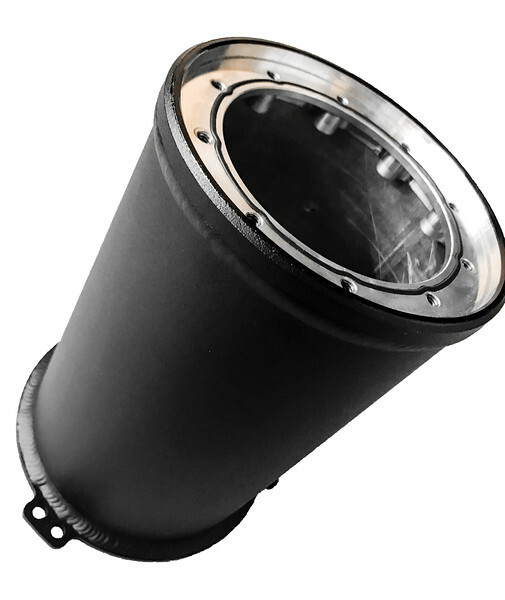 Every FST manufactured is pressure tested to comfortably withstand the Max 10PSI Internal Pot Pressure. The new ProFlow Motorsport Anti Surge System is a breakthrough design as it will provide a quick and easy way to upgrade a standard fuel system without going to the lengths of modifying your stock fuel tank or pump. 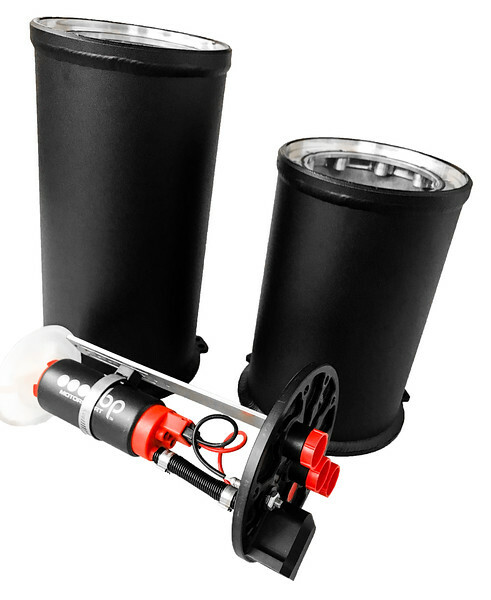 Offered is a Single 340 LPH Fuel Pump and Dual 340 LPH Fuel Pump FST systems, however OBP can offer Brushless Fuel Pump Technology developed for racing, these Brushless fuel systems can provide fuel for cars up to 1800BHP.